Getty Images is popular to brands, advertising and broadcasting companies due to a number of reasons. The stock site does not only offer premium content, but also a highly organized library. Recently, it provides yet another reason for creative professionals to use its services. It now features Ultrapacks that allow you to download a specific amount of stock assets at a discounted price. That’s right! 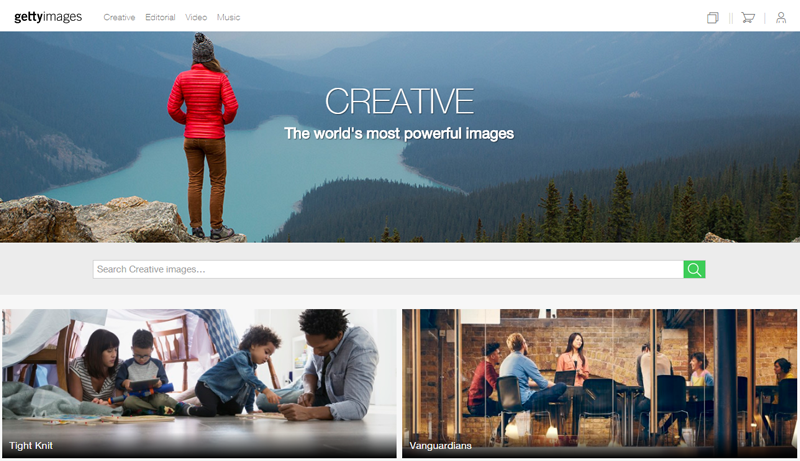 You just pay upfront for a pack, then use it download Getty footage whenever you want. Ultrapacks come in various volume sizes and are divided by image resolution. You can choose among packs 5, 10, 15 and 20 – each with certain amounts of discounts. Of course, the larger the pack you purchase, the greater your savings. In fact, you can get as high as 30% of discounts. That is equivalent to thousands of dollars-worth of savings. If you are after high quality commercial stock footage and great discounts, this is the option for you. However, discounts are not the only advantage of Ultrapacks. They also never expire. Your Ultrapack account will stay active forever as long as you log on to your account at least once a year. You can then use them to download Getty footage whenever you want. Since the videos are already paid for, you can purchase and download them in a faster and easier way. There is a catch, however. Ultrapacks are not all good things. They can only be used to download royalty-free assets (videos and images). If you are looking for Editorial footage or images, this is not the option for you. On the other hand, they can add value with a custom license if you want bonus rights such as unlimited reproductions and multi-seats. How can you get $100 off Getty Footage? Aside from Ultrapacks, Getty Images partners with other sites to offer its consumers another way to increase their savings. You are thinking about coupons, right? Well, you are not wrong! The stock media site also offers coupons to its avid customers. You can get these coupons from affiliate websites. To get the $100 off, just sign up with Ultrapacks in Getty Images. You will be able to save $100 on your 1080p HD video. Sounds like a great deal, doesn’t it? When it comes to buying stock footage, Getty Images is a great option for varying budget levels. The advantages clearly outweigh the disadvantages. It’s recent merge with Corbis Motion has made its footage collection more comprehensive and diverse, too. With archives full of historical and time-less videos, you will also find premium content from famous media companies such as BBC Motion, Walt Disney, Techni and National Geographic. Furthermore, its Ultrapacks are a great deal for time and money sensitive buyers.